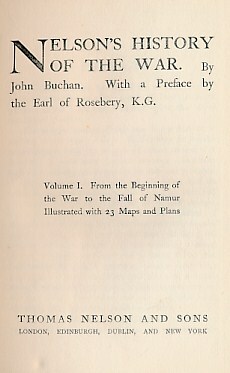 Barter Books : Buchan, John : Nelson's History of the War. [WW I] 24 volume set. London. : Thomas Nelson & Sons Ltd.
190 x 120 mm (7 x 5 inches) - 6000pp. G: in Good condition without dust jacket. Covers rubbed with fade to spine.